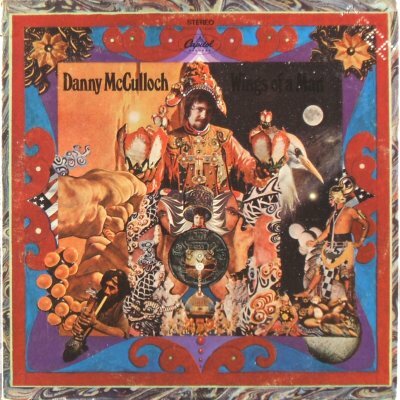 Danny McCulloch’s connection to Eric Burdon and the Animals is mainly through the album "The Twain Shall Meet." He played bass and supplied backup vocals on that bands 1968 psychedelic classic. 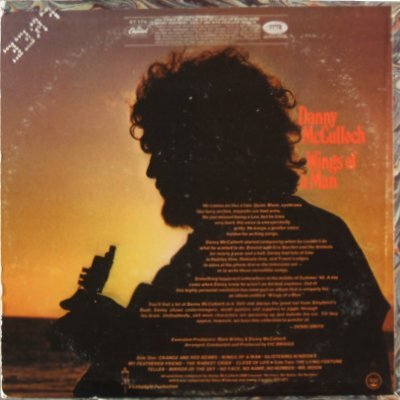 It turns out that Danny had written an excellent set of originals for his first solo record. The album starts with "Orange and Red Beams" and just gets better and better. McCulloch has a marvelous ability to create visual and cerebral imagery. He delivers his visions in a gruff voice somewhat similar to Tim Rose and it all works so well one listen is almost impossible. Major credit goes to another ex-Animal Vic Briggs for his stellar production. Note: unfortunately this album is out of print. For those whose tastes run to 60's psychedelia, or are Animals Completest Wings Of a Man is well worth searching out. The album has some great cover art too.